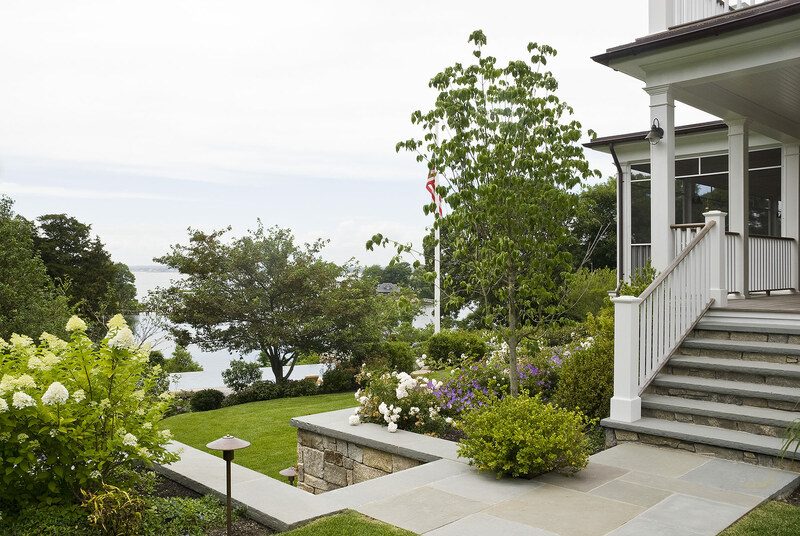 Cove House is a traditional summer home atop a steep slope leading down to the waters of coastal New England. 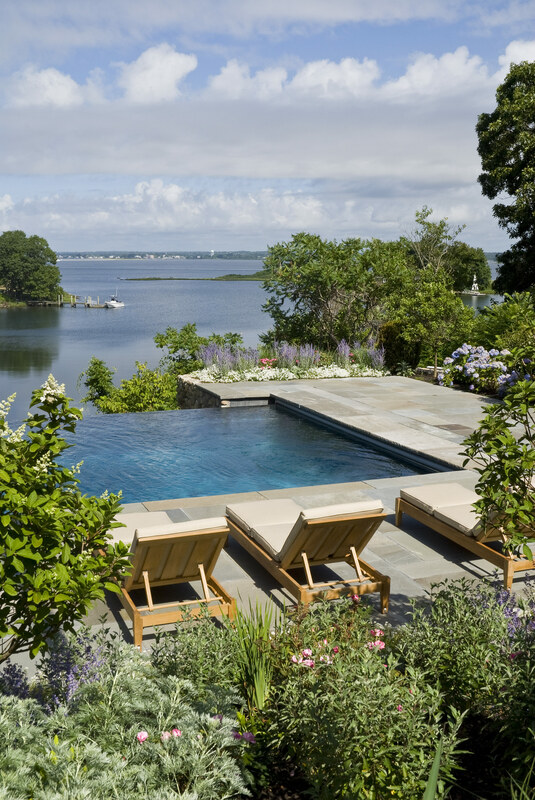 The design solution turns the challenges of the steep site into an opportunity for an infinity edge pool and terrace, with unobstructed harbor and sunset views. 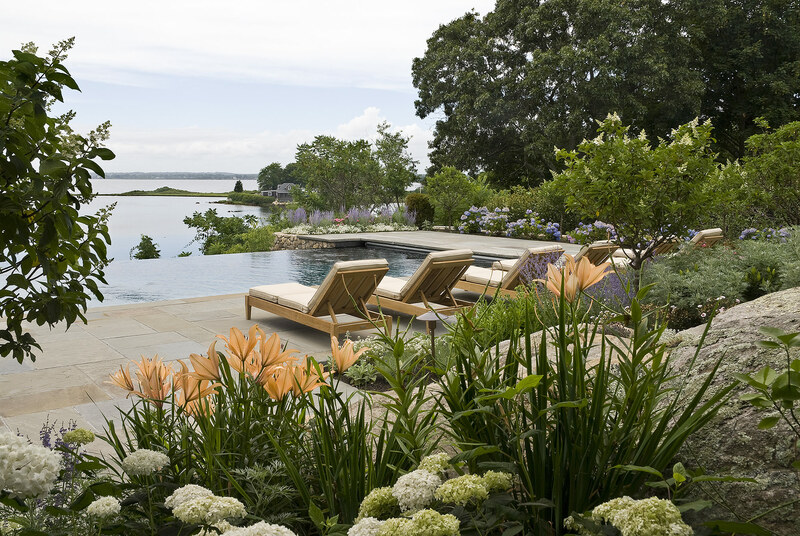 The clients wanted to retain a natural look for this landscape that would blend seamlessly with the quiet cove below. 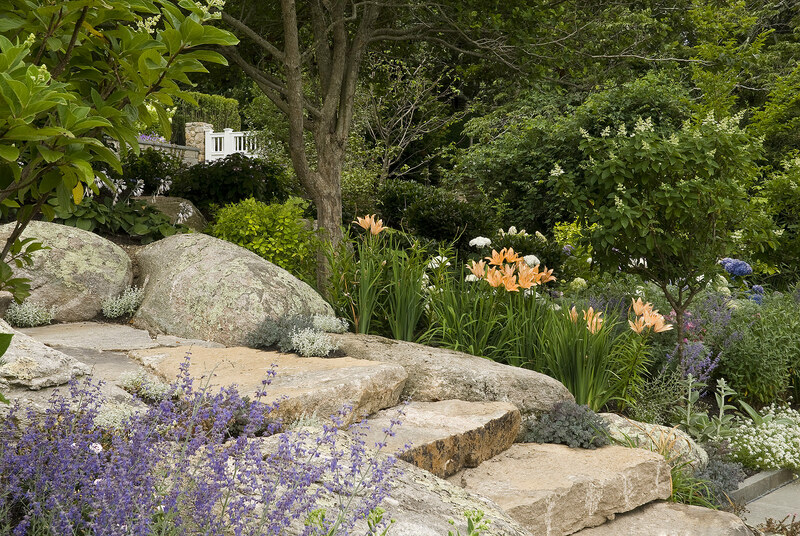 The design incorporates existing rock outcroppings, and extends this theme through the use of additional boulders and fieldstone slabs as steps from the house to the mezzanine pool location, and finally to the dock below. 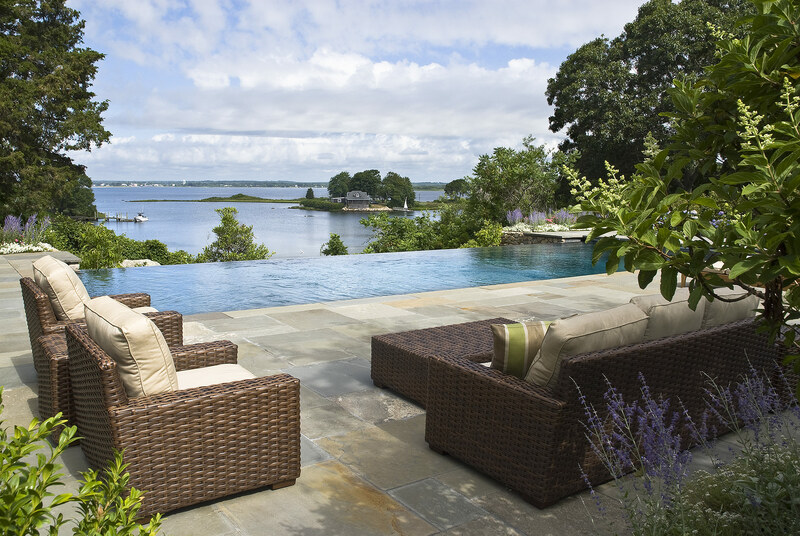 With the focus on the summer season, plantings frame the pool area to create privacy and separate the terrace from a simple play lawn next to the house. 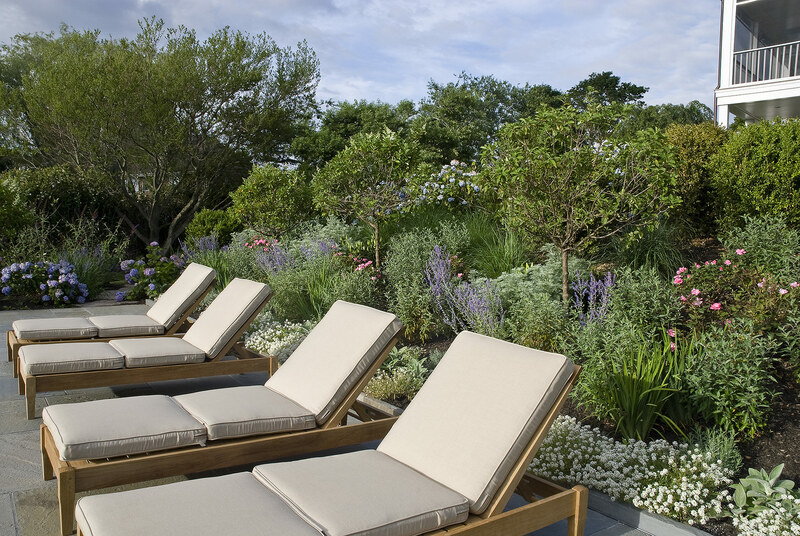 As in all our projects, we include native and flowering species that can be gathered for colorful arrangements. 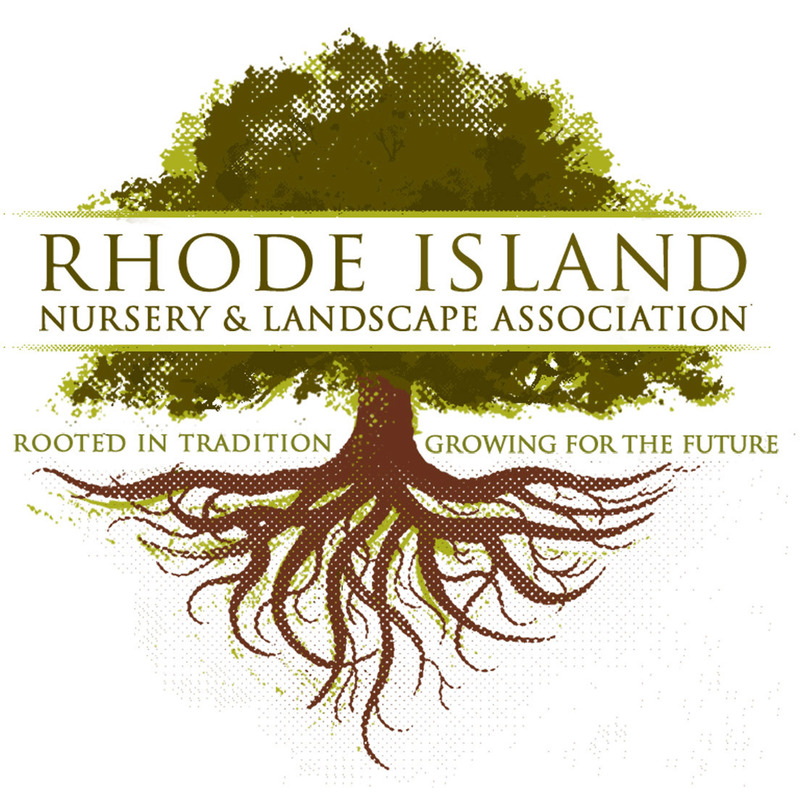 LIGHTING DESIGN: Katherine Field and Associates, Inc.
CRMC: Natural Resources Services, Inc.